This pathway provides guidance on the imaging of adult patients with suspected osteoporosis. 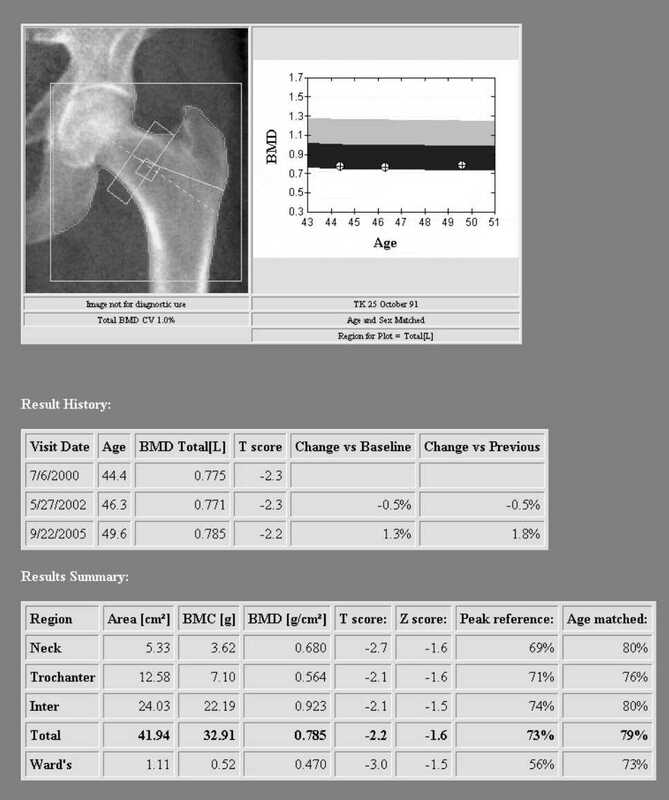 Image 1a (DEXA scan): The left hip bone mineral density measures 0.785 gm/cm^2. This correlates with a 'T' score of -2.2, and a 'Z' score of -1.6. 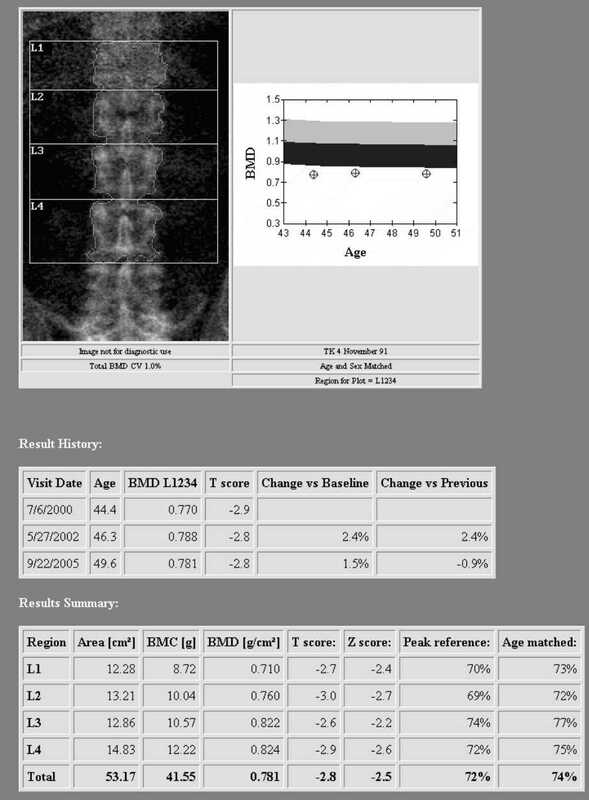 Image 1b (DEXA scan): The lumbar spine bone mineral density measures 0.781 gm/cm^2. This correlates with a 'T' score of -2.8 and a 'Z' score of -2.5. Based on the WHO Diagnostic Categories for Osteoporosis, the lowest T score of -2.8 in the lumbar spine indicates osteoporosis. 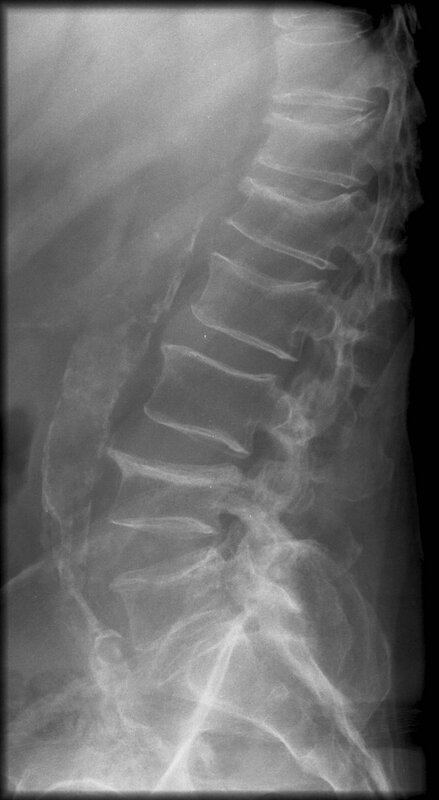 Image 2 (Lumbar spine radiograph): Multiple vertebral crush fractures on a background of severe osteoporosis. 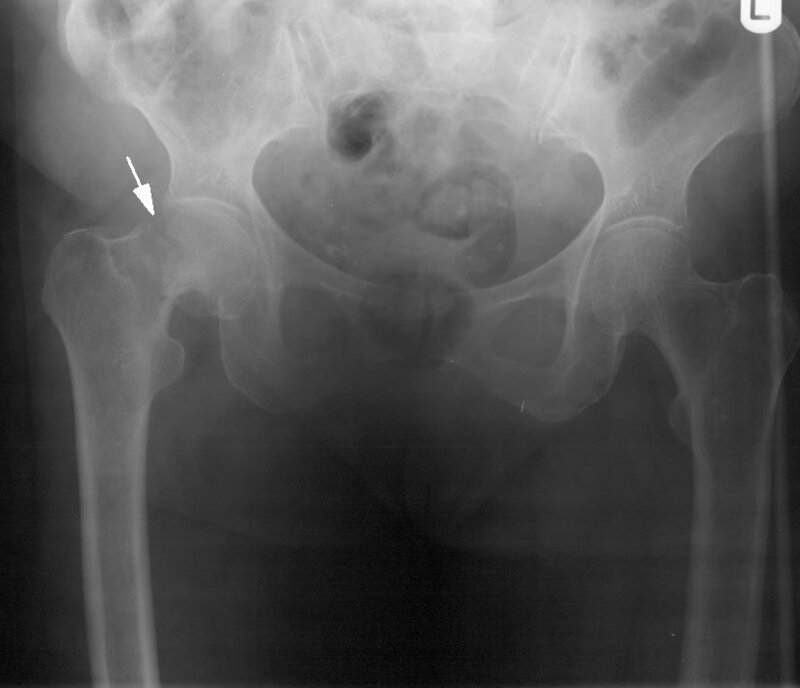 Image 3 (Pelvis radiograph): AP view of a comminuted inter-trochanteric fracture of the left hip. 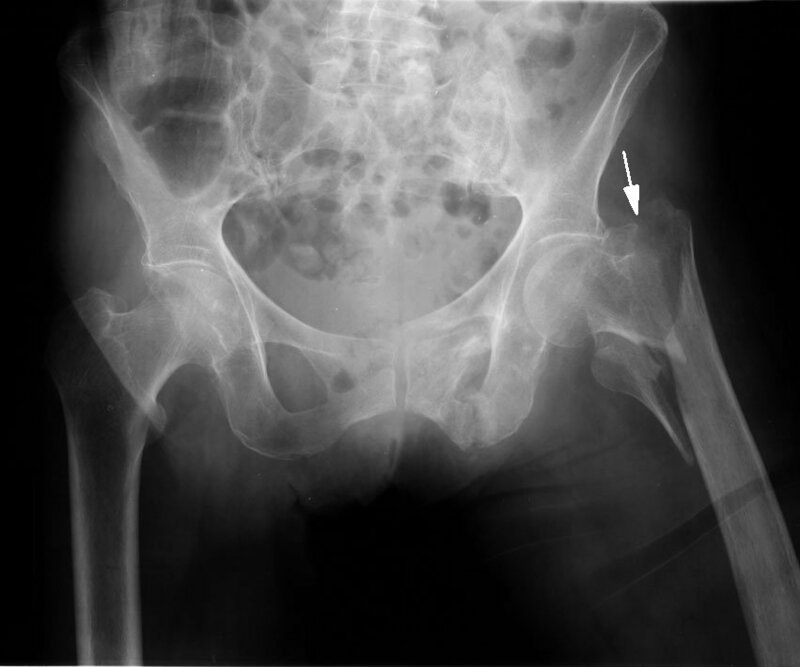 Image 4 (Pelvis radiograph): AP view of an impacted sub-capital right hip fracture. 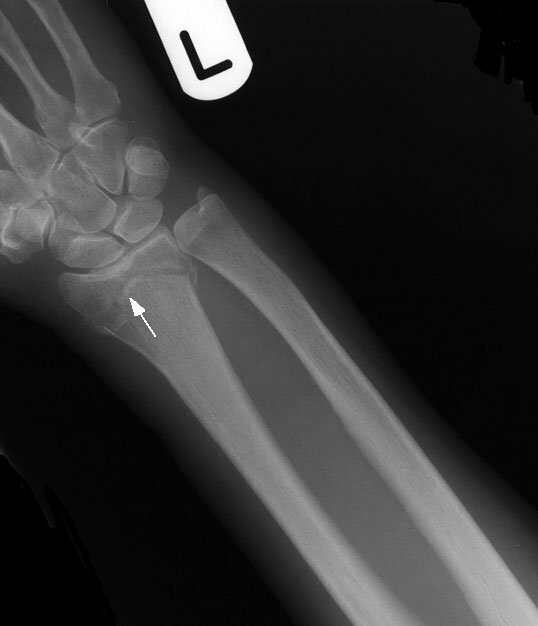 Image 5 (Wrist radiograph): Impacted fracture of the distal left radius. Initiate treatment with osteoporosis medication immediately. Institute lifestyle / dietary advice. Repeat DEXA in ≥ 2 years. Treatment recommended though can be tailored to patient depending on absolute fracture risk. Institute dietary / lifestyle advice. In most causes treatment should be instituted. Where the patient is younger (<55) or mildly osteopaenic (-1.0 to -1.5) treatment may be reconsidered. Treatment not necessary in most cases. Consider treatment for post-menopausal women and men over 65 if T score is in lower part of the osteopaenic range (-2.0 to -2.5). Repeat DEXA in 2-5 years, depending on severity of bone loss. Advise on dietary / lifestyle advice and follow-up. Commencing glucocorticoids 7.5mg/day prednisolone or equivalent for at least 3 months. Preventative treatment with osteoporosis medication for the duration of glucocorticoid therapy. Osteoporosis Australia. Prevent the next fracture - a guide for GPs. 2nd Edn. 2008.